Chat with other local users. 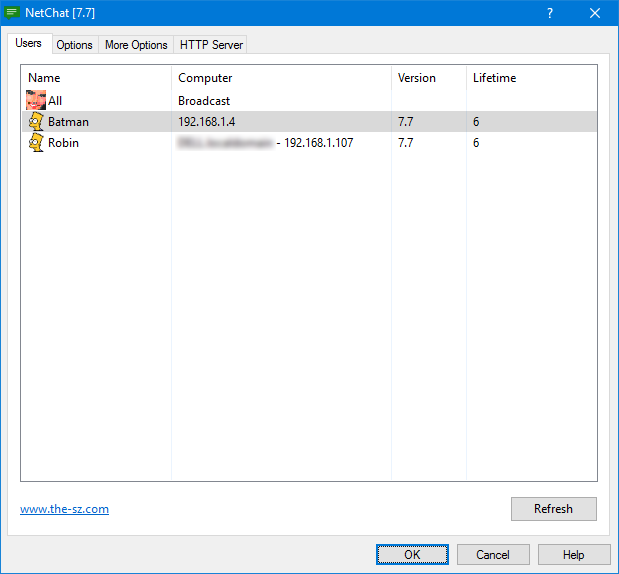 You can create a fixed user which can be located in another subnet. 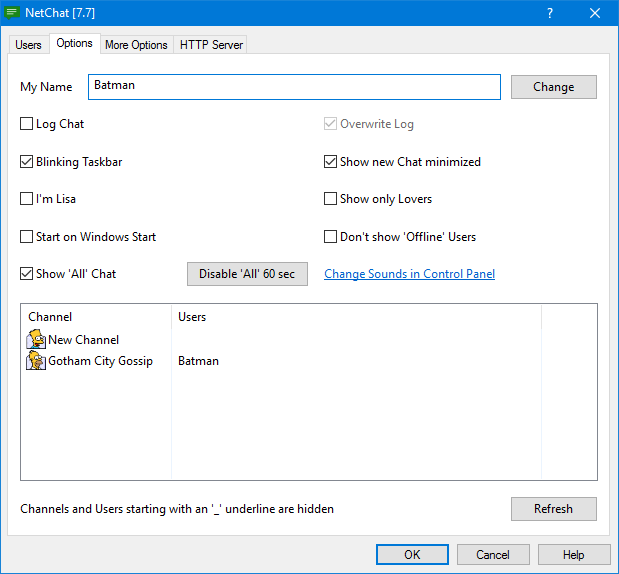 This user can act as a gateway which connects both NetChat subnets together. A build-in HTTP server can be used to share pictures and other files. For users which are currently offline, the message can left on an FTP server. The program creates a icon near the clock in your taskbar. With a mouse click you can chat, send your clipboard or transfer a file. You don’t need any server. 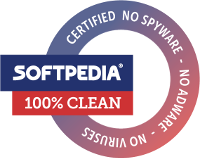 All users are automatically detected.